There are a lot of great collaborations out there, but this collab is definitely one for the books! 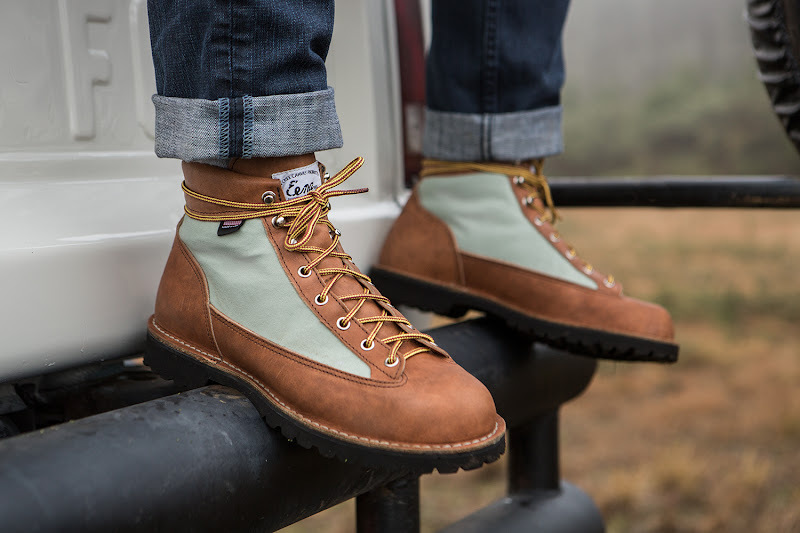 Two of Portland's most loved heritage outdoor brands have united in the form of a boot. 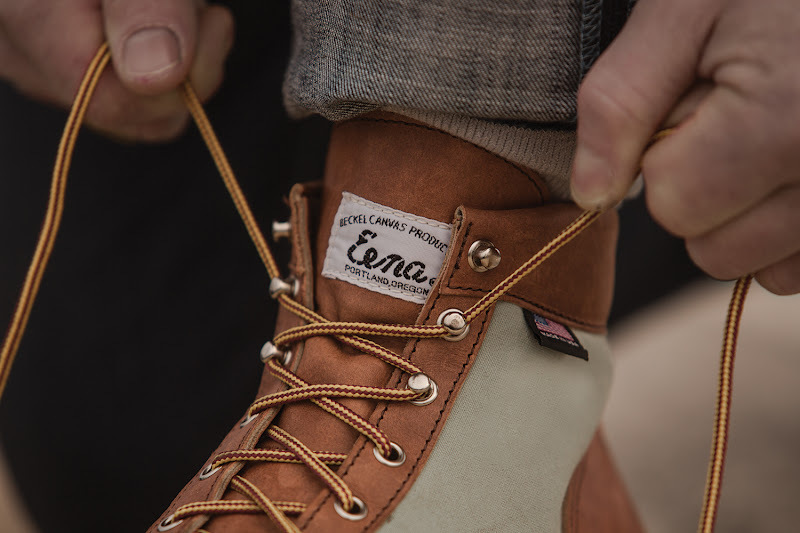 Beckel Canvas, known best for their signature canvas tents and bags and Danner, known best for their well-made American boots, have partnered to create a classic Danner boot made from leather and Beckel canvas. The collaboration includes three men's styles and one women's style—which just launched today. In celebration of the launch, we are giving away one pair of the women's collaboration boot ($340)! To enter the giveaway: Leave a comment below telling us where you'd take your boots if you won. We'll announce the winner here and feature a photo of the winner's favorite spot on Instagram too! Good luck! The winner is lea who said she'd take her boots to "Acadia National Park in Maine, her family's favorite place!" E-mail me lizziegarrett(at)gmail(dot)com and we'll get your Danner x Beckel boot out to you! Congrats! Incredible giveaway! I would be stoked to win it. I would take my boots around the South Island of New Zealand - into the back country and the foothills of the Southern Alps! I'd be wearing these up in the mountains in Penland, NC while I am at my printmaking residency this summer. It's a lot of work but there is plenty of inspirational nature to experience while there. I'm gearing up for a trip to Iceland - these would be amazing for hiking over lava rock this summer! I recently fell in love with the breathtaking lakes and National Parks of Croatia and Slovenia. I would make sure to take my Danners to the pristine waters of Lake Bled in Slovenia and all around the Plitvice Lakes and Krka National Park! Not much time for a getaway, so I would take mine to Nichols Arboretum here in Ann Arbor. Gorgeous! I'd love to tell you I'd take these boots to exotic locations, but I'll be honest and admit that I'd be wearing these around town. Mine would be out in the broadleaf and pine woodlands where I work every day, on the south coast of England. Sunny and beautiful amongst the flowering bluebells, and occasionally dangling down from the limb of a tall tree. These are so lovely! I'd take them out to Valley Green (a big park on the outskirts of Philly, where I like to hike) and climb some trees. I would take them to my favourite city: Kelowna, British Columbia! Best hiking, walking, & wine-tasting! I'd take them on a trip to Bergen, Norway and then test 'em out hiking around the Hardangerfjord and Sognefjord. Hands down, one killer giveaway! I'm planning a trip to hike & bike the Mae Hong Son Loop in Thailand. These Danner x Beckel boots would graciously replace my mother's 20+ year old Merrell's that have served us well. Mine would go with me to the insanely beautiful Eastern Sierras next month, where I try to as often as possible during the summer months. Next, they'll be on a roadtrip to Utah, where they will get fully broken in while canyoneering and spending time by the fire with me and my pup. I think they'll live a good long life with me! What a great giveaway! I would definitely wear them on my next trip hiking around Gros Morne, Newfoundland. One of my favourite places on earth! TOO GOOD. i'd take them hiking through the santa cruz mountains next month and the adirondacks all summer long. I'd take these amazing booties to a special place. It's always hard to find comfort, form and style in hiking boots but yet these look like a treat. My boots would take me walking to a spectacular valley in the Canadian Rocky Mountains, which is near the beautiful Banff National Park. From here I explore all that nature has to offer! What a great giveaway! I'd wear mine to a trip to Hawaii - more specifically - down to Waipio Valley, up the Muliwai Trail (aka the Z trail), through tropical jungle and forest, to Waimanu Valley. Those boots are beautiful! I love Danner (PDX dweller). 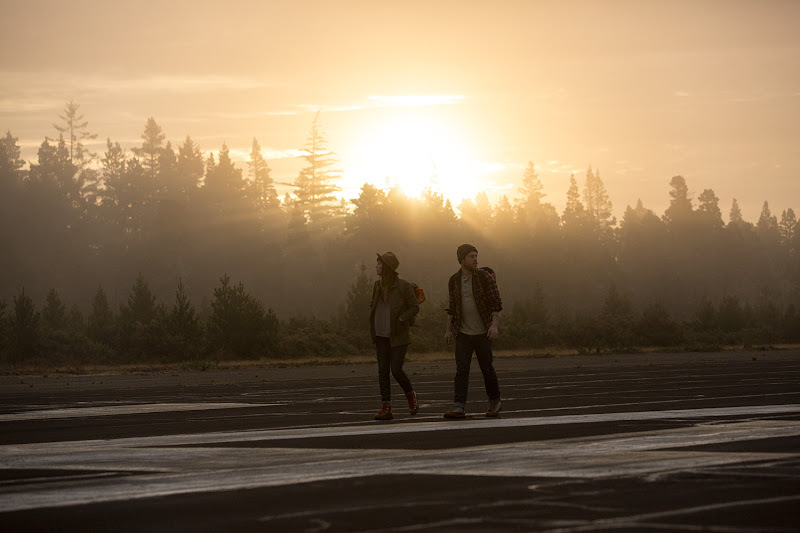 I would definitely take them to Lost Lake, Oregon this summer for some hikes around the lake. Let the camping plans begin! I'd take these beauties to Big Sur to romp around on forested trails and then test them on the sand and jagged rocks along the coast. Such beautiful and functional shoes! I would love to wear them hiking on my trip this summer to Zion National Park and then trekking in Patagonia next winter! Such beautiful places! I'd take these boots on hikes all over SE Idaho, culminating in an end-of-summer hike up Mount Borah. In the near future, I'd wear these boots everywhere whether it be down the street or on a grand adventure in some foreign land! In the end though, I'd definitely wear these boots when I travel to Chile for the first time since being adopted from there as a baby. Fantastic boots + cool country = a unique and wonderful adventure! I'd take these boots on a road-trip down the west coast, from Bellingham, WA down to San Diego, CA. I'd also wear them around my university! Dandy boots for wandering souls indeed! I would say Morocco, Iceland and Oregon US! EVERYWHERE! Community market,biking around town, hiking and canoeing the local greenbelt behind my house AND they will absolutely accompany my fly fishing trip in the Rio Grande Gorge this summer. I would take these beautiful boots to the rugged and stunning Isle of Skye of Scotland. I'd take them to Ireland and go hiking! Okay, why not?! These are amazing. Where would I wear them? All around and up and down the hills of/surrounding my neighborhood. Also, to someday adventures in Japan and Germany. I would walk them through every terrain and they would walk straight into my heart. I would take these throughout the Midwest prairies, up in the Pacific Northwest, and hopefully down in South America. I'd love to wear these beautiful boots to hike through the cemeteries of Scotland. Not sure when I'll be back there, so I'd wear them on my trip to Italy that will hopefully be happening in the fall! What beautiful boots. I would take mine on a hike around Yosemite to see the falls. Gorgeous boots! I would love to go hiking with them in the Pacific Northwest where I live. Cedar trees and mountains... yes, please! If I won these boots I would immediately lace them up and hike to the top of Potato Chip Rock on the Mount Woodson Trail, arguably San Diego's most infamous and photogenic hiking destination. :) Fingers crossed!! These boots are amazing! I would wear these boots while my husband, inlaws and I visit the bourbon trail in Kentucky this summer! They would be perfection. These are amazing! I live in Wisconsin, and would take them everywhere, including hikes around Devil's Lake! Hmm.... up and down in the Bavarian Alps! I track my boots to journeys left undiscovered. They will be my history in footprints as I travel across the globe. They will age as I will age. These boots'd be the kick start I need to finish recuperating from hip surgery. I would take these lovely kicks all over Carmel, California. I've been wanting to get back there since touring through in 2008. So gorgeous! I love those boots Lizzie! Besides wearing them throughout the OC, I'd wear them to Graignamanagh, Kilkenny Ireland. I am planning on seeing my mother's birthplace for the first time this summer. Awesome boots! I'd wear them on a Half Dome hike, in Yosemite. These boots would inspire me to hike all over! I'd hike to the Hollywood sign in these boots! I would wear these lovelies while visiting my son in Seattle to hiking our local Catalina mountains in the Sonoran Desert of Tucson, AZ---they look like they could handle any climate from sun & dust to clouds & rain! Wow these boots are stunning! I'm so glad they finally came out with a women's collection. There's no way I can afford to buy a pair on my budget so I will keep my fingers crossed for this giveaway!! I would take these boots (and my dog!) on hikes around my favorite NorCal spots. I'd take these boots with me on my next trip to Smith Rock or Crater Lake. As a recent transplant to Portland, I can think of no better place to break them in than surrounded by magnificent cliffs. I will wear them to the Oregon Coast, redwood forests, and all up and down the California coast on my road trip this summer. In my dreams I'd take them everywhere, but in reality I'd take them to some of my favorite spots locally. Sabino Canyon, Tumamoc Hill and Mount Lemmon. Oh, man. These are gorgeous and the specs look great. They'd be hiking with me in Joaquin Miller Park (redwood forest) daily during the summer and often during the rest of the year - since I work as a naturalist in the park and assist in overseeing and managing it. I would take them immediately to Yosemite! Totally awesome! I would wear these boots while hiking at the Rachael Carson Wildlife preserve that is next to my home on the ocean in Kittery Point, Maine. I would take my amazing boots to a ranch out in Wyoming to adventure with!! I will be going to Naboutini, Fiji, working with an organization that builds homes in a remote village. I would wear those boots throughout my trip, whether I am hiking, building or running around the island. I'll do the boots proud! Dreaming of a trip to Maine...with these in tow. I'm hiking the Inca Trail in Peru for my 30th birthday; I'd love to be wearing these beauties! These boots are amazing! Recraftable? Perfect, because I'd wear them everyday to work on my beautiful vegetable farm and I'd love nothing more than to have a pair of boots I can repair instead of throw away. My favorite spot was in the country side of Ireland. Loved traveling through Cobh in Ireland! I'd wear them on the Welch Dickey Loop in New Hampshire. I would hike them all through the hills behind my parents' house. Then I would wear them to my wedding. Then I would wear them to your mom's wedding. If these boots were mine, they would have plenty of Wyoming and Arizona dirt on them! I would take them to Florence, Italy with me. I am currently working on a term paper about sculptures and Florence is the perfect spot to get cultured for an art history student with these babies on my feet. Thanks for the giveaway opportunity! With these boots, tan and green, I would walk the streets of Columbus, LA, and New York City; travel to Paris and to Pakistan; and admire them at home. I'd work their functional and fashion element. And I'd finally have some boots to rival my brother's redwings! I would take this books on a trip to BIG SUR to hike on the gorgeous California coast! Woo! I'd take these boots to Iceland! But in the meantime, I'd wear them around Chicago. Perfect timing! I am about to embark on a long roadtrip through the US, down the west coast all the way through the southern states and back up on the east coast. Since I will be doing a lot of surfing and hiking, cooking on a camping stove and drinking a beer on the roof of my car whilst sunset watching, these boots would be perfect companions. 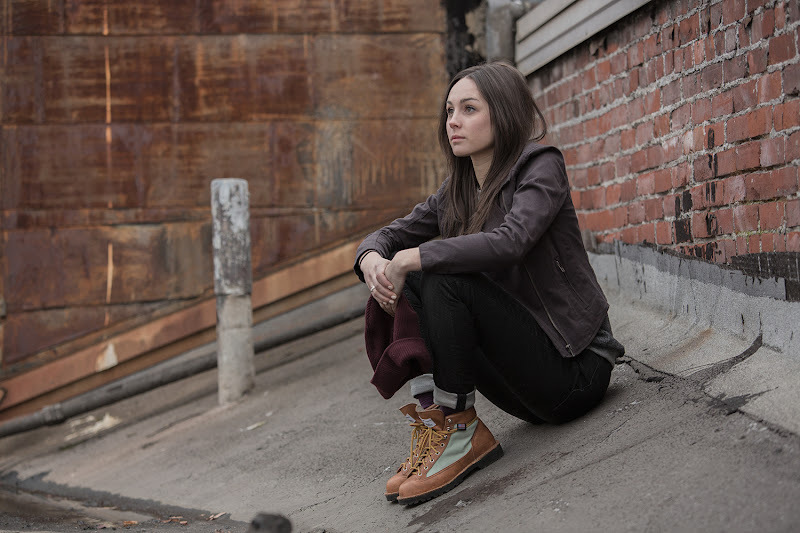 As a german girl in the US, sporting a pair of sturdy made-in-the-usa boots that take me anywhere would be a dream. These are beautiful! I'd take my boots to the natural soap company where I work, gardening, renovating my little historic house and the weekend farmers market--oh, and of course to the festivals I go to selling soaps! They are perfect for a (Monroe) Georgia girl, versatile in country or day trips to Atlanta and the mountains. I would definitely take these boots with my feet to my favorite Appalachian off-shoot trail in NJ: Eagle's Nest. Me and my boots would hike it up to the top, then relax and enjoy the view of the Delaware River. I would take them with me on my annual summer trip to Zion National Park in Utah! One year ago my answer would be different...these days, these boots would be trekking Milwaukee's paths along Lake Michigan next to my retriever, behind a stroller. I would take these boots with me, wherever life takes me. I have a somewhat nomadic lifestyle these days, taking me back and forth between the big city of Philadelphia, and the rugged tundra and mountains of Alaska. I love these boots so much, I would wear them in both settings, as I blaze new trails in the woods, and the concrete jungle alike. 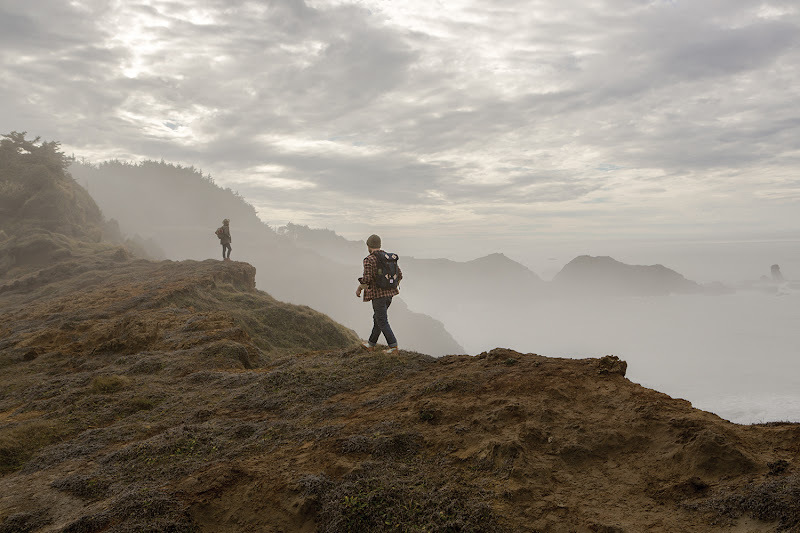 A camping/hiking trip to Big Sur would definitely be in order! To my brewery where I'm learning to be a brewer! I live and work on a guest ranch in northern Wyoming. I would use the boots to hike to my favorite place in the Big horn mountains near the ranch - packing my fly fishing poke to fish along the way! Man oh MAN. I think the better question is where would I NOT take these shoes, and I don't really have an answer. But really. I would take them hiking in the Catskills before I graduate from college in upstate New York. I'd take them back to LA. I'd take them through the forests path along the River Boyne in Ireland. Honestly, I'd wear them wherever and whenever the occasion called for this. Everywhere and always. i would wear these everywhere! but if i had to pick a place to go - norwegian fjords. yes. I'm a lucky duck to live in Montana, so on an average weekend I could wear these beauties to places where everyone else dreams of vacationing to! My BFF for over 50 years are planning on hiking up and down the mountain at Squaw Valley in June. These boots would be so cool to wear on that trip. These boots look awesome. Big Bend National Park is on my list for this year and I'd love to take a pair of these Danners with me! It would only make sense to take these beautiful Portland-made boots on a hike in the gorge to see multnomah falls! They are beauties--I'd stomp all over the earth in them. Hopefully I can take them on my trip to Portland this summer! Great giveaway! If wear those babies all around Yosemite, California's finest spot. I'd wear these boots during my sunset viewings at Olympic Sculpture Park here in Seattle. These boots are stylish for the city jungle. Those boots are a thing of beauty. I'd wear them to take the kids to school, and then when summer hits, on hikes in the mountains of the west Kootenays of B.C. Adventures through the back alleys of the inner west, ending up for a fireball whiskey at Midnight Special of course. I would wear my boots walking in Harriman state park in. NY! I'd take these boots to Friday Harbor in the San Juan Islands and hike through the woods and along the beach. First, these puppies would get an outing to the German region Trier for work during Rally Germany. They would fit right in around the military training ground near Baumholder, an area known for its heinkelsteins (large rocks for tank roads). Then they would keep my toes warm for Rally France-Alsace as autumn sets in around the wineries. Finally, they'd come with me on holiday back to Sweden to frolic in the Scandinavian forests and snuggle around a nice fire. These are perfect. I would wear them around Portland, and in Forest Park, near our brand new (to us) home. My fiancé and I just started hiking together, and we are hooked. I'd take these boots with me to my summer backpacking trip across Vietnam, Cambodia and Nepal and of course back home to Tokyo where I'll walk around the city. The boots seem practical, versatile and absolutely gorgeous. All these comments make me discover places I've never heard of and make my feet itchy for new adventures... I'd love to take these boots for an urban hike in Maputo to look for and explore the amazing work that Pancho Guedes left there. How Cool! I would definitely wear them to Hetta-Pallas route in one of the most beautiful walks in Finnish Lapland. I'm planning an all-girl-trip there next summer with my two best girl friends and my dog Bilke. I took the Hetta-Pallas route a couple of years ago with my guy and it struck me as something rough, beautiful and most definitely worth all the trouble. I love Danner and I love these boots. I'd lace mine up for daily hiking in New England, and a trip to a local farm or two. These boots are brilliant! If I were lucky enough to win, I would were them hiking the dunes of the National Seashore in Provincetown, MA! I'd love to take them to Machu Picchu, if I'll ever make it there. Otherwise I am sure they would work well when I am teaching in a classroom in Halmstad, Sweden too. They look like a nice everyday pair of boots! "I'd take them mountain climbing and hiking and camping this summer in the white mountains in New Hampshire. Then I'd take them all over town running errands with the kids! They look awesome! I'd take them for a spring time hike to Cape Split in the Midas Basin, Nova Scotia. Incredibly Gorgeous! the Danner x Beckel canvas collab boots for a hike in the Burren county Clare. your instagram from Griffith park reminded me that although these places are very far apart there are many of similarities. I am going to see snow for the first time in my life (I live in hot hot tropical Brazil!) and these boots would be perfect for my first step on ice! Picacho Peak, near Tucson AZ. Hands down. Take a look, a morning climb and an absolute fabulous view of the sonora desert. Camping with my kids in the Adirondacks, and hiking up Blue Mountain. My sister and I will be hiking the Scottish Highlands on a National Geographic expedition. I plan to wear my boots while sipping single malt Scotch! I would finally take a trip to hike the Appalachian Trail! I'd wear these all around Minnesota and Vermont, looking for new places to hike and adventure this summer and beyond! I'd wear these around Minnesota and Vermont, looking for new places to hike and adventure this summer and beyond! these awesome boots are just what I need for my visit to Portland to visit my sons living in Portland. We plan to have some adventures in the mountains, and along the coast. I can't wait to gaze at the waterfall in the Columbia river gorge. I have been lusting over the Danner boots forever! I would take mine to the beautiful Smoky Mountains of East Tennessee, where I grew up. I'd wear 'em to survey the piece of land I just bought in northern Ontario. I'd be taking these on walks around where I live, somewhere like the North Downs here in Kent. These well-made boots would outfit me on my morel mushroom & ramp hunts all over our rocky wooded land outside of Luck Wisconsin. i would take the boots to work at my office. BUT ALSO, they would be perfect for hiking in the north woods of Wisconsin! Would love these for our next trip to Gatlinburg! Gorgeous boots! Would love to take them with me to Chile's Atacama desert! My husband and I are taking our first anniversary trip to Iceland this year and have begun hiking the Appalachian trial in small weekend trips. These boots would be the perfect addition! My everyday life is an adventure living at the top of a hill by the mediterranean see in the south east of France. So I would wear these beautiful and smart boots walking down to school every morning with my three children, with an amazing sightseeing of the see and breathing the special smell of pine forest. I would be wearing these everywhere...but I'd also totally use them as an excuse for a long stroll in the NC Appalachians, somewhere gorgeous like Bryson City. I would wear my boots to hike in the mountains of Austria this summer. These boots are look just great! These beautiful and so feminine boots would give me the daring of adventure for my everyday life. So I would feel so dauntless wearing them that I could stroll during hours in the streets of Marseille, looking after the spirit of the times. I'm heading from the Mid-Atlantic to Lake Tahoe this summer to meet up with my west coast friends. I would love to rock these boots exploring the trails and other sites--suggestions are welcomed! Great boots! I would love to win them so I could wear them exploring and hiking around the pacific northwest this summer! I'd take my boots to Allsopp Park and run around with my lab Hudson! I would wear these boots everyday this summer as a Farm Assistant at an organic farm in Monkton, MD! I would wear these boots everyday this summer! They are both stylish and practical for my job as a Farm Assistant on an organic farm in Monkton, MD. Well, living down in New Orleans ... these boots would be great for those rainy days and adventuring around the bayou ... Not to mention, I'm back home in the mountains of Colorado more often than not (my most favorite spot, the Grand Mesa in western CO) ... I can't imagine a better and more beautiful boot to take me through all my adventures here and there, all day every day! I think the trouble would be where I wouldn't wear boots like these! I'll be doing more hiking this summer with potential trips to Missoula, Montana and Georgia O'Keeffe's Ghost Ranch. I'd also be seen stomping around in them in the plant where I work. Hell, I'd sleep in them. I'll take them anywhere and everywhere! I'll break them in while hunting for morel mushrooms in central ohio! I'd take those awesome boots to the mountains of Switzerland. I'd take them to Iceland - we're traveling there in August! I would wear these hiking along Big Sur, my new playground. Urban exploring all over Houston! Trekking across London and the English country side when I visit my family! All over the great state of texas - I have big plans to visit all the swimming holes! The question is...where WOULDN'T I wear them? Those are BEAUTIFUL. I'd wear them at the New England Literature Program in New Hampshire, where I teach literature & creative writing and lead backpacking trips in The White Mountains and Maine. These are cool and cute at the same time! I'd wear them to explore the coastline north of Boston: Marblehead, Beverly, Newburyport and Gloucester! Where wouldn't I go in those boots? I live in Colorado and my kids are wanting to do the 14ers we have here so those boots would get me to the top in some serious style! So beautiful! I'd take them all over Vancouver Island, through the Juan de Fuca and show them the Pacific! I would take my boots to Antarctica. More specifically on a little hike around Adelaide Island on the Antarctic Peninsula. I'm fortunate to be a scientist who gets to work down there. It's one of the most stunning places on the planet. I live in NYC, but fell in love with San francisco, so I would take them to Lands End state Park. I'd be wearing mine while hiking the kumano kodo in Japan this summer. I would take them through southeast Kentucky. Appalachia. It's the time of year to visit all the old family cemeteries scattered on mountainsides, to clean up and deliver flowers. The time to remind us where our roots really start. I would take these trekking up dusty inclines at Griffith Park and hiking in the San Gabriel mountains this summer. During the winter, I'd use them to help me navigate the snowbound, perilous walkways of my Western Massachusetts college campus. I would also honestly just wear them everywhere: food trucks and summer concerts and Sunday dim sum trips and coffee shops and cross country meets and apple picking and for virtually every activity that requires close-toed shoes. I would totally use these in the French and Swiss Alps. I feel home there. Hiking in northern Michigan this summer! What a treat these boots would be. These are amazing! I'd take them to Joshua Tree and when I go back to Kauai! Oh! I'd wear them on a trip this summer to Asheville and the Smoky Mountains. We're heading to the Northwest in early June so I'd definitely take these groovy boots with me! I'd take these beauties tree-planting through the mountains of central British Columbia. Rolling hills, pine forests, and incredible open skies. These would be perfect to bring back home to Alaska this summer, and for tromping around on future adventures! I'd take them for some camping and hiking along Pictured Rocks National Lakeshore in Michigan's Upper Peninsula! Oh, I'd take those boots to the Oregon Coast, no doubt. I would wear my boots to Marvao Portugal! I'll be hopping a plane in 2 weeks to go house sit in this sleepy village. These boots would love to walk along the historic medieval fortress! I would wear them to re-vist Yosemite and hike the trails there. And Napa. I would wear them to find wine. I would pretty much take these boots with me where ever I go. Whether that is to Minnesota, Big Bend park in Texas, norther California, or just around any of the cities that I travel too. They'd also get a good wear while I was sculpting. These boots make me nostalgic for places I have never been and places I hope to return. This summer marks a long awaited trip back east to Virginia. They would take me to the home my father built in the foothills of the Blue Ridge Mountains. Those boots would take me everywhere. This summer they would be my favorite companion on a girls trip to So. Cal and a family trip to the PNW. I would take these babies for the adventure of a lifetime in Mongolia. Mongolia is my favorite place I have ever visited and can't wait to go back! These boots would go with me on every single trip I take to the stunning 100-Mile Wilderness in Maine. I'm lucky enough to spend my days as a member of the team that is preserving this beautiful land for future generations! It's harder to leave every time! Boots to inspire one to great heights! I would like to think I would wear my new hikers to many exotic locales. But, sometimes a little inspiration to help us through our daily "life hikes" of monumental proportions is warranted. Thus, I will wear my boots to class as a message to my college students: Aim for the peak, one step at a time, enjoy the journey, and protect your "sole" along the way.